It is well known by now that reducing personal waste is essential for safeguarding the future of our beautiful planet. However, it is hard to know where to start and which items can be reused or recycled. Often those things we consider “disposable” actually have a lot of life left in them and can be used over and over again rather than being thrown immediately into a landfill. Take a look at your life and find ways that you can reduce waste and do your part to improve the environment. Start by learning to reuse these “disposable” products. Keep in mind, that the first step towards a more sustainable life should be trying to limit your use of disposable products in the first place. For instance, switch to a reusable water bottle, and bring your own bags to the grocery store. Though it is impossible to have a ‘zero waste’ life, there are many simple ways to reduce your carbon footprint. While it isn’t the best idea to reuse plastic containers for further food storage, as they usually begin to leach harmful chemicals, it is perfectly safe to clean and use glass and metal jars over and over. Try turning that empty jar of pasta sauce into a cute pencil or paperclip holder for your desk or use that old coffee can to store flour or sugar in your pantry. Think of creative ways that you can breathe new life into everyday objects. Ideally, you should use reusable dryer sheets with essential oil to help remove static from your clothes and keep them smelling fresh. However, if you do choose to use traditional dryer sheets, don’t throw them away after just one use. Repurpose dryer sheets into dusting cloths, as they are spectacular at picking up stubborn dust and pet hair. Or use them to polish chrome and remove soap scum in the bathroom or shower. Though the idea may seem appalling, it is actually perfectly safe to use Ziploc bags more than once. Be sure that you clean them with hot, soapy water, rinse, and let them air dry completely. This is an especially good idea if you use plastic bags to transport children’s lunches for school, as they generally don’t get dirty with one use. Don’t simply throw out your old toothbrush. Keep it with your cleaning supplies and use it to scrub hard to reach areas or remove gunk from delicate electronics. You can even try using your retired toothbrush as an eyebrow brush or hair color applicator. The possibilities are endless! 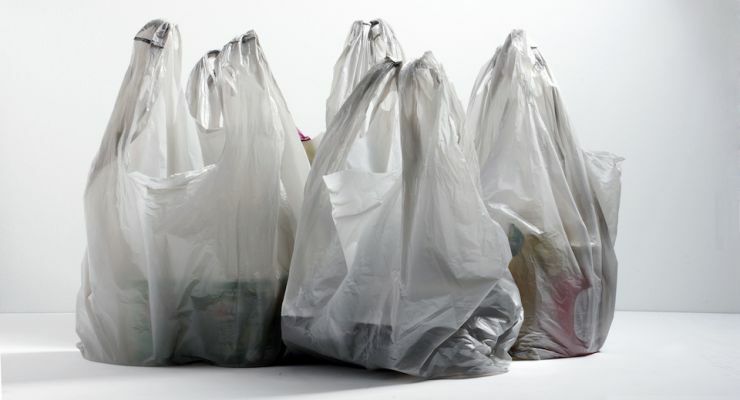 The average American family takes home 1,500 grocery store bags per year, returning only 1% of those for recycling. These statistics are shocking, especially considering that most people only use the bags for an average of 12 minutes. The best solution to this dire environmental problem is to use reusable grocery bags when shopping. If you do use reusable grocery bags, be sure to clean and sanitize them after every few uses as they can collect dirt and bacteria. If you have no other option but to use plastic bags or are unable to switch over entirely, don’t throw those bags out. Keep some in the car for trash bags for long trips or emergency vomit catchers, save them to use for your next yard sale, or even turn them into emergency rain bonnets if rain starts unexpectedly. Aluminum foil is totally safe and sanitary to use quite a few times, but most people simply use it once and throw it out. Rinse and scrub foil with soap and water and let it dry, then fold and store it for later use. These work well as measuring devices and scoops for dog or cat food, bird seed. You can even use them to start seeds indoors before spring. Everyone should make a conscious effort to look after the earth. We only get one planet, after all. Take environmental concerns personally and encourage others to do the same! These changes may not seem important at first, but merely being mindful of your waste makes a huge difference over time. Hey Buddy!, I found this information for you: "7 Disposable Products You Can Reuse (#3 Will Surprise You)". Here is the website link: https://www.tropicalhealth.com/disposable-products-can-reuse/. Thank you.